You want to become a web hosting reseller, right? We’ll start with the basics. Let’s assume you’re an entrepreneurial new web designer or marketer. You’re just getting started in the industry and you’re trying to make it on your own by establishing your own business. Or, maybe, you already work for a firm and you’re looking to moonlight by setting up your own small side business. No matter what specific situation you’re in, you want to maximize your income. In order to do that, you’re going to need to establish both active and passive types of income. Active income consists of the money you make for the work you have to perform. Billable items that may be in this category include designing wireframes, doing the coding, editing templates in Photoshop, or any other labor that you have to physically perform and charge for by the hour. This is the typical way a web designer views income. It’s payment for services rendered. The downside to relying solely on active income is that there is only so much time in the day. You are limited by pretty necessary things like needing some actual time to relax and sleep. Other than continuously raising your rates, your income can plateau. But, what about adding passive income to the mix? Let’s be clear. The following isn’t a pitch for a get rich quick scheme where you create some shady network of spam blogs. Rather, there are legitimate ways you can start making passive income now using services you’re already familiar with. There are a few creative ways that a web designer can put together projects that make money long after they’ve been completed. Today, we’re going to focus on one particular method of accruing passive income. It turns out your hosting company could be the key thanks to the availability of VPS hosting and the ability to establish a reseller account. So, how can becoming a reseller boost your income potential? There are a few major benefits to adding hosting as a line item in your contracts. 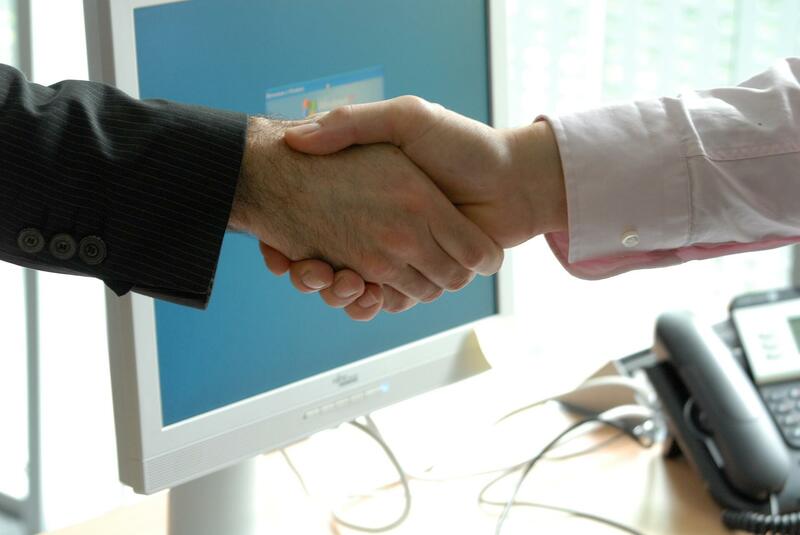 Let’s take a look at how you can grow your business by partnering with your hosting company. Get Premium Features on Shared Cloud Accounts at No Extra Cost from KnownHost. The first thing you’re probably wondering is, “What will reseller hosting cost me?” That is a fair question. Depending on what industry you’re working in exactly, whether it be design, SEO, or whatever else digital, you’re probably already paying for a variety of tools to help you do your job. Since many of these tools are subscription based now, your overhead may already be sizable. The Adobe Creative Suite alone can cost you fifty dollars a month. The benefit of adding reseller hosting services to your design or marketing packages is that you’re paying a flat fee that quickly pays for itself. The cost of a VPS is relatively inexpensive when you consider you can easily charge a couple of clients enough to cover the price that you’re paying out of pocket. Consider if you get a lower tiered VPS at $25 a month. You charge $15 a month to your clients as a web hosting billable line item. It’s not a terribly expensive service that most clients would find reasonable and you’ve already covered the cost of the entire VPS with just two accounts. When you partner with KnownHost, you can also take advantage of being part of the VIP program. We know that every business not only wants to expand but also have scalable solutions. That’s why we make it easy to add VPSes to your plan. Each VPS counts towards another tier of our VIP program. The more you sign up for, the bigger the discount. As you take on more clients, you’ll actually end up saving on the machines you pay for every month. Let’s say you’re a web designer. Your primary strength is creating an attractive looking website and being able to code it. That is a skill that’s in demand for sure. But, what good is a site if it’s not hosted anywhere? Clients expect their “web hosting people” to be able to do everything, whether that’s fair or not. If you’re groaning in agreement, you get it. Business owners don’t want to know the ins and outs of getting a site running, they just want it done. Providing your client with the appropriate files, but nowhere to host them won’t do you any good. If anything, your client may not be pleased with that. More realistically, you’d probably be asked to get the site live on a hosting plan that your client already paid for or signed up for based upon your referral (more on that later). If that’s the case, that’s easy money you’re letting get away. Since you’re responsible for getting the site established with a host anyway, you might as well offer to be the host. Yes, it adds some extra responsibility within your workload, but most of the time the income is passive. If issues do arise, you can contact the hosting company you’re using for resolution. Which brings us to the next point. Get Premium Shared Hosting from KnownHost for a Fraction of the Industry Price. Clients may decide to weigh the pros and cons of having you host or getting their own host. They’re going to have questions, so you need to prepare. The biggest benefit to them is the convenience. There is one point of contact for all of their web issues. However, they can also decide to seek out a direct, cheaper option. Price competitively, but make sure it’s beneficial to you. Speaking of pricing, you as the host will be responsible for billing for the hosting every month, so make sure to be on top of your invoicing. Additionally, you may want to price in the time performing any technical support needed. Remember, you are the host. Your customers will not receive support from the hosting company. Any issues with service, you will have to act as the middleman. That means you’ll be fielding their concerns, contacting customer support for resolution, and then getting back to your customer once it is resolved. Plan for this extra time spent. KnownHost offers white label VPSes. This means your customers won’t receive our name on anything so you can discreetly offer your hosting services. An additional passive source of income, though it is one time, is referrals. While they aren’t a monthly billable item, each time a user clicks on an ad for hosting services on your site you could earn money through an affiliate program. If you’re a digital marketer with a site that recommends service providers because you don’t provide the service yourself, this could be a solution for you. At KnownHost, we offer a wide variety of solutions to satisfy our diverse array of customers. Whether you’re looking to host a personal site, a business site, or you want to add hosting services to your business as a reseller, we have the solution for you. Contact us today and we’ll go over the different plans available to you as a reseller of web hosting services.